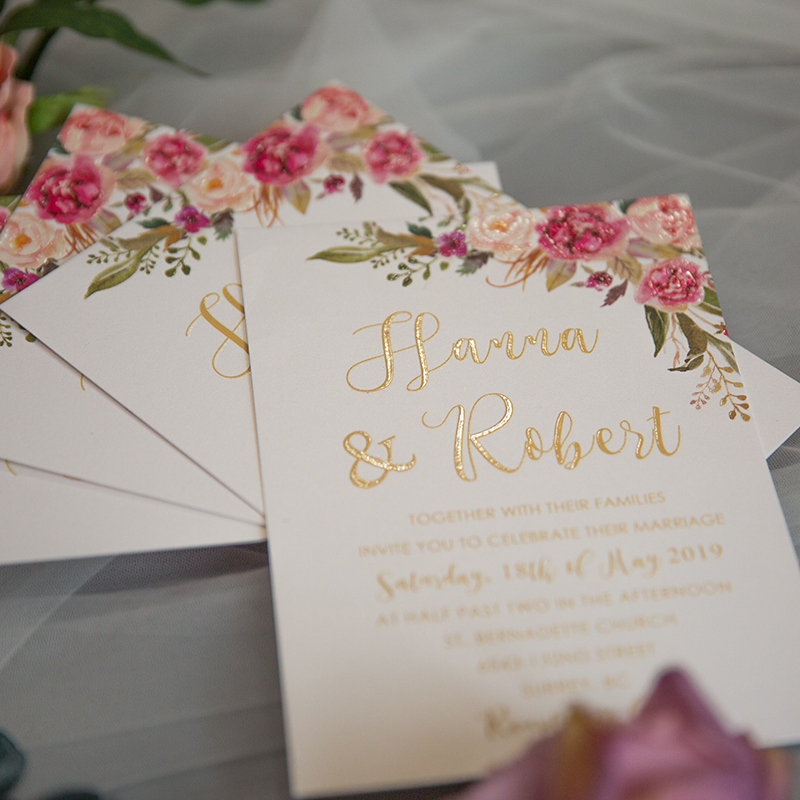 Choosing wedding invitation has a lot in common with choosing your wedding dress as both choices have a huge influence on the rest of your day. 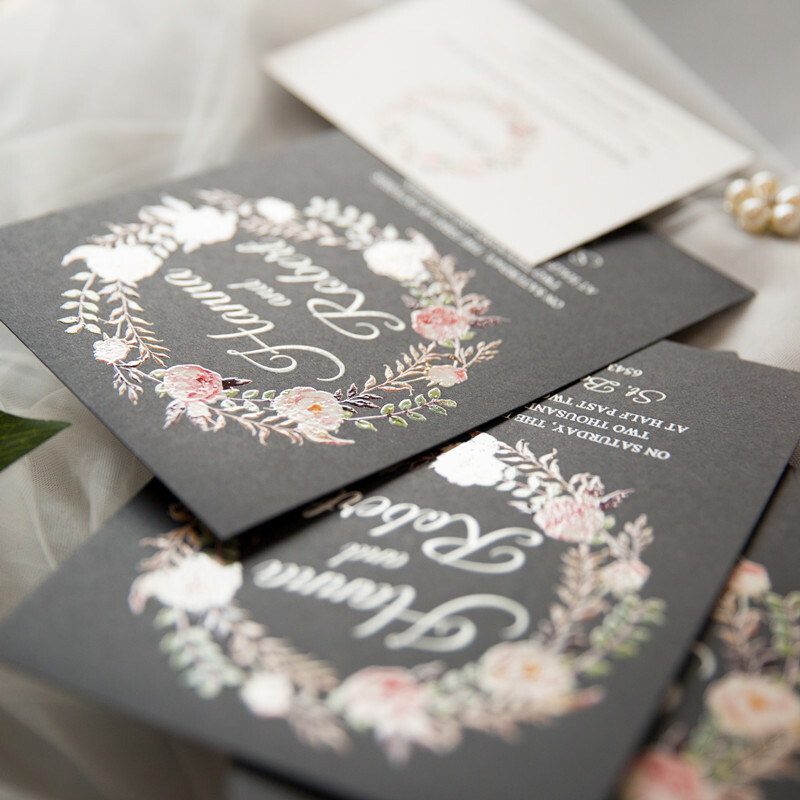 A well-chosen and gorgeous wedding invitation may worth you to keep for decades after your wedding. 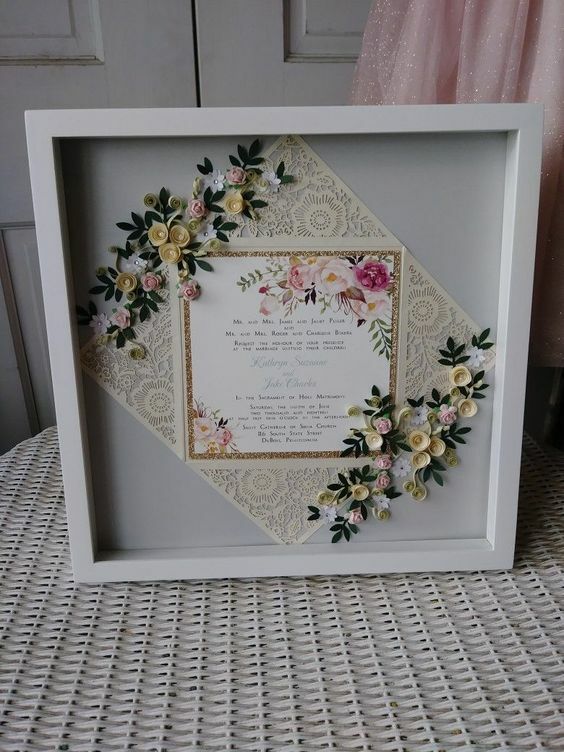 Like one of our customer, she has creatively made her invitation into a framed artwork. Stunning! Isn’t it? 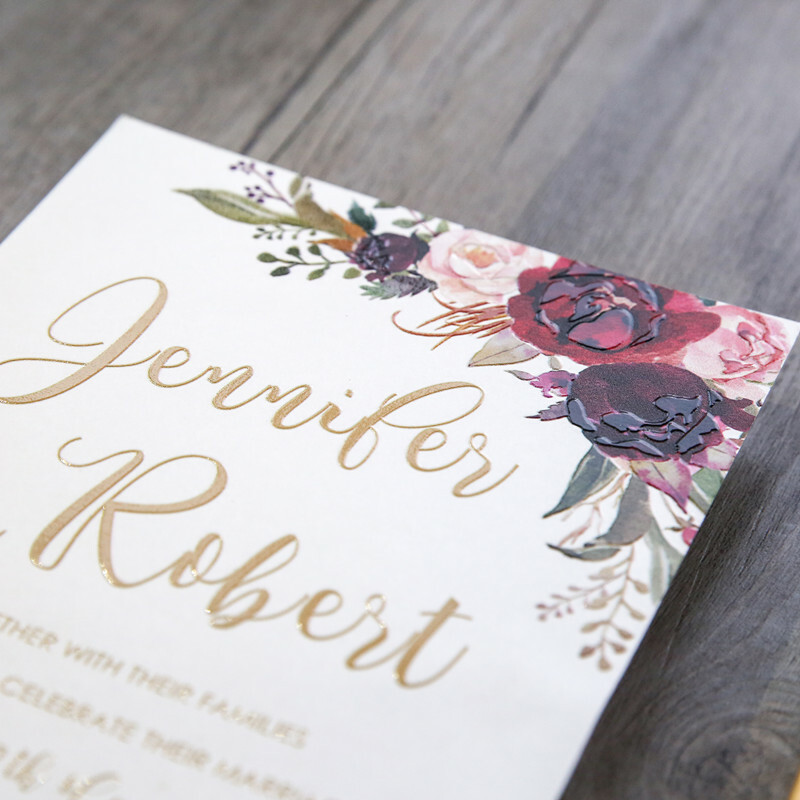 And today, I can’t wait to showcase the unique UV printed wedding invitations from Elegant Wedding Invites. This is definitely a new chic way to attract your guests! UV printing is a new technique that is similar to thermography printing. The finished product of UV Printing is shiny, like plastic with a raised texture, but most importantly, it is not limited to monocolor! Therefore we also name it the full color Thermography. 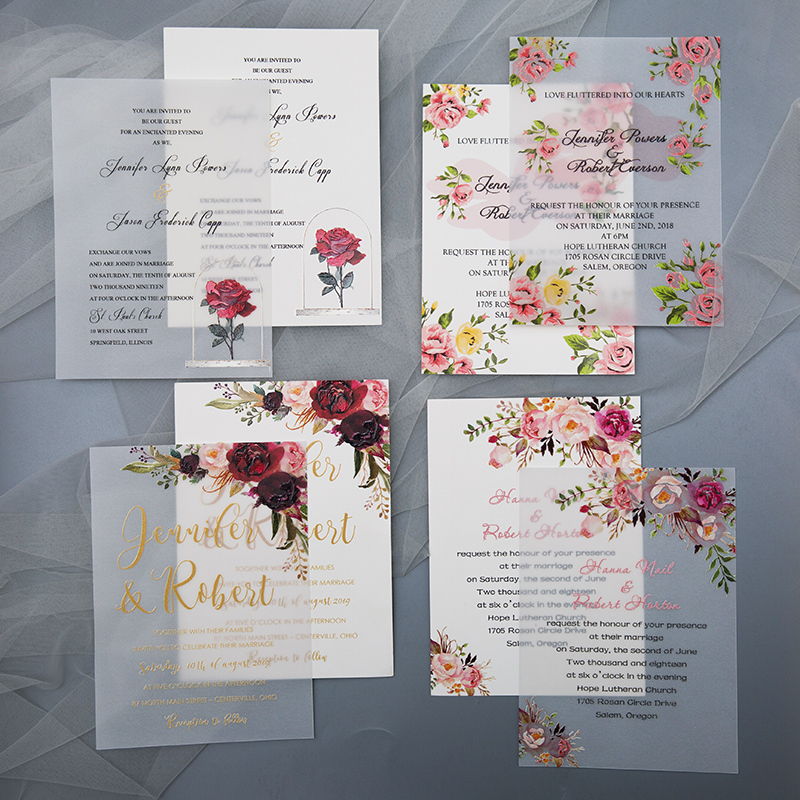 To follow the vellum paper trends, Elegant Wedding Invites also incorporates this new printing technique into vellum paper. 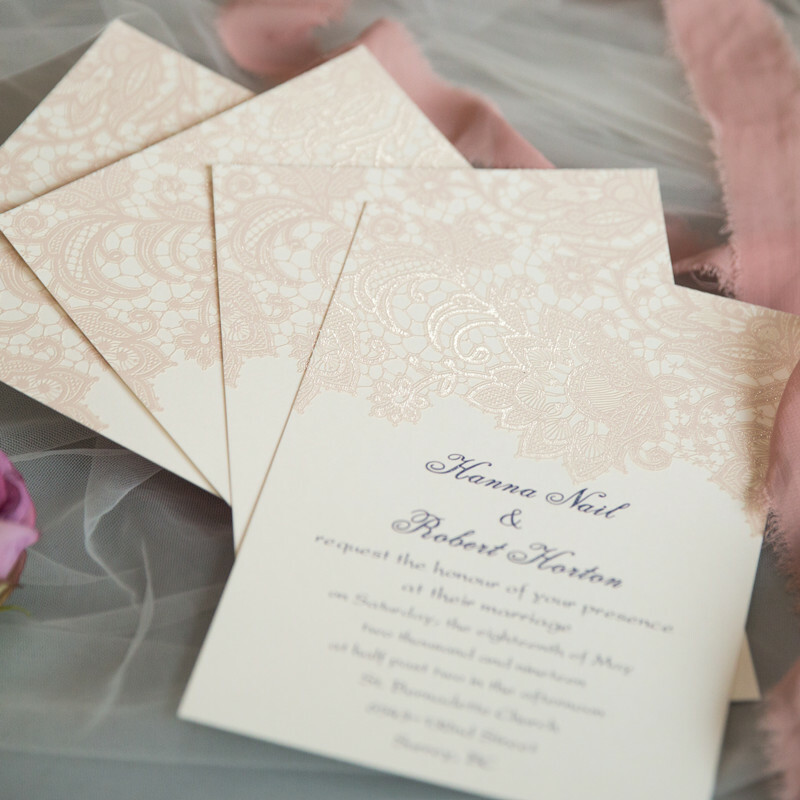 And, using semi-transparent paper will give your wedding invitations a beautifully light and airy look. 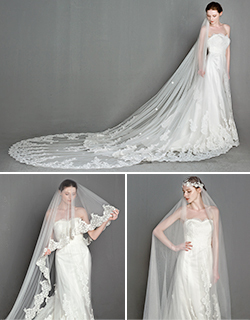 For crafty brides, UV printing and vellum paper can easily raise your diy work to higher-quality level. 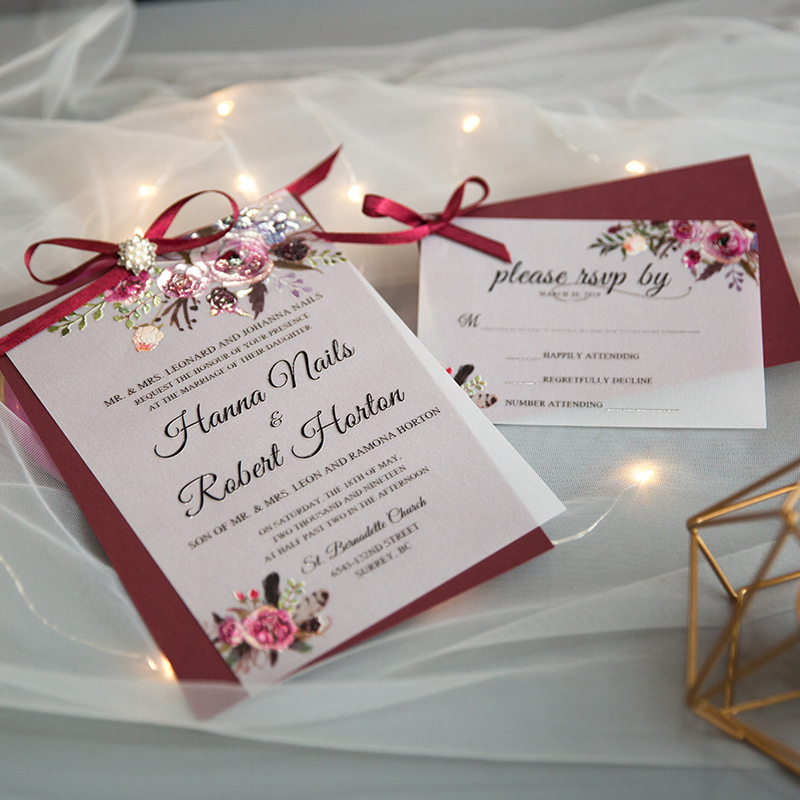 The following are two diy progects you can try on our UV printed wedding invitations. Wait no more, shop your favorite design and start your diy project right away! 1. 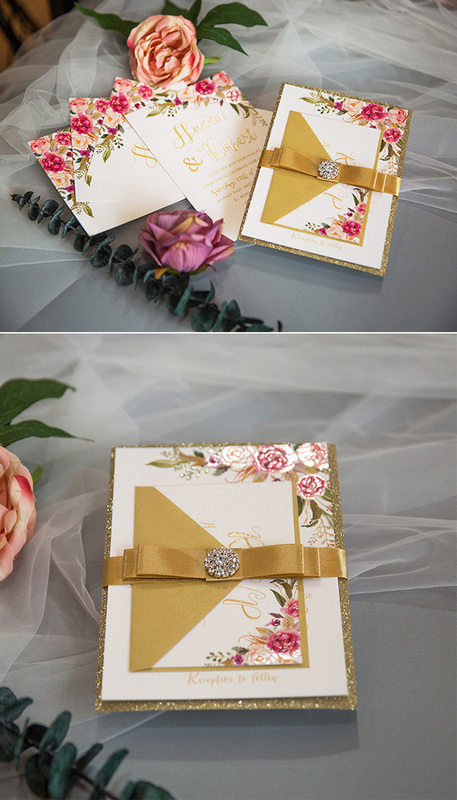 The white space and layer of raised gold glitter served as a wonderful luxury contrast. And the shiny, reflective raised texture of UV printing and embellished gold ribbon further added a whole new element of luxury. 2. 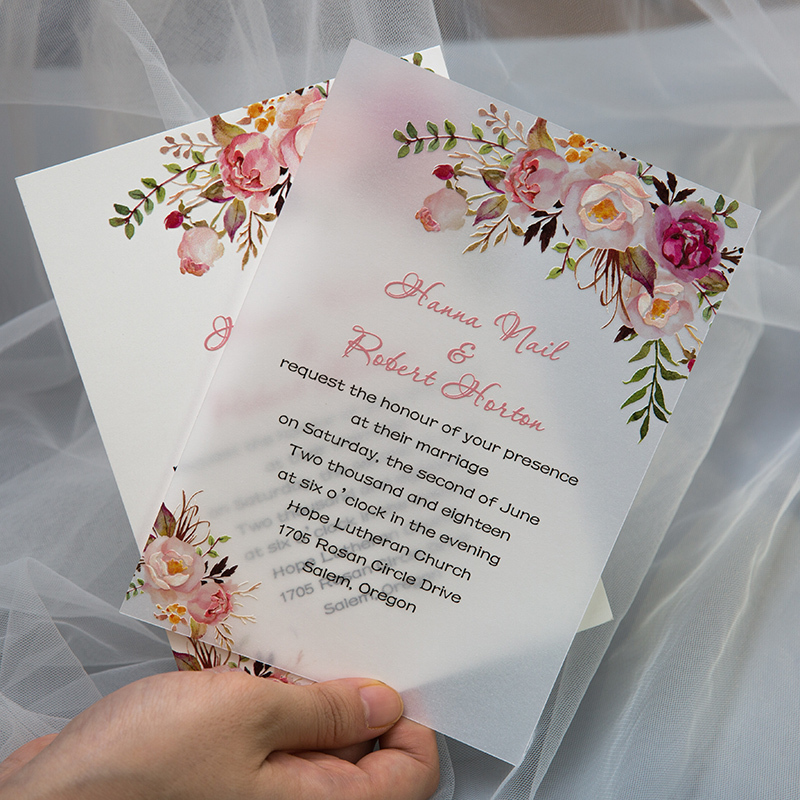 Make a layered look by putting a piece of design underneath your semi-translucent Vellum wedding invitation, you can choose whatever fits you and your wedding style. 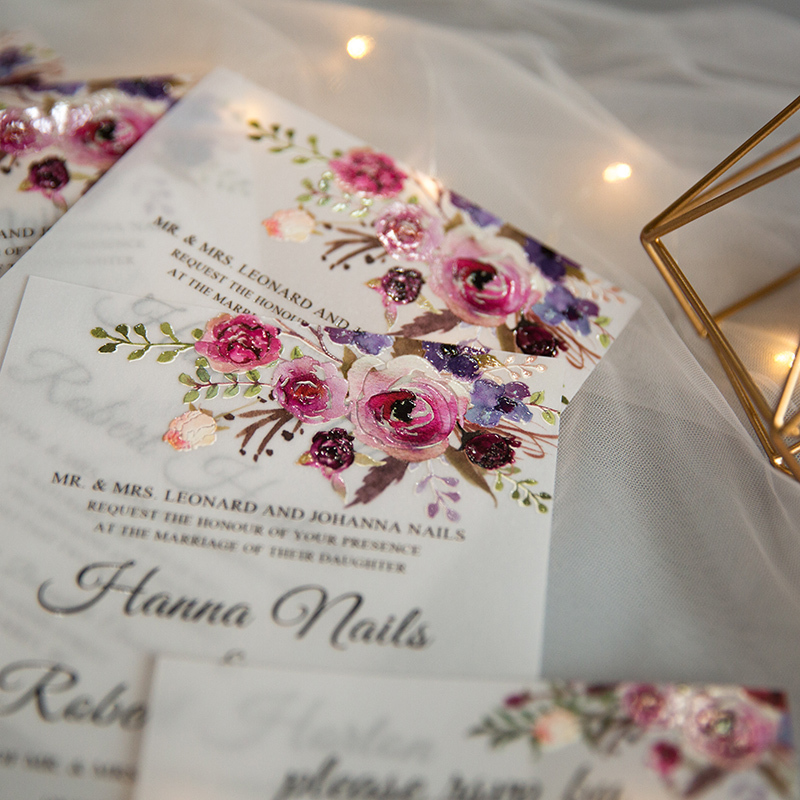 This entry was posted in 2018 wedding trends, wedding invitations and tagged UV printing technology, uv printing wedding invitations, wedding invitations. Bookmark the permalink.